At the start of World War I, pilots were part of either the army (the Royal Flying Corps, RFC) or the navy (the Royal Navy Air Service, RNAS). 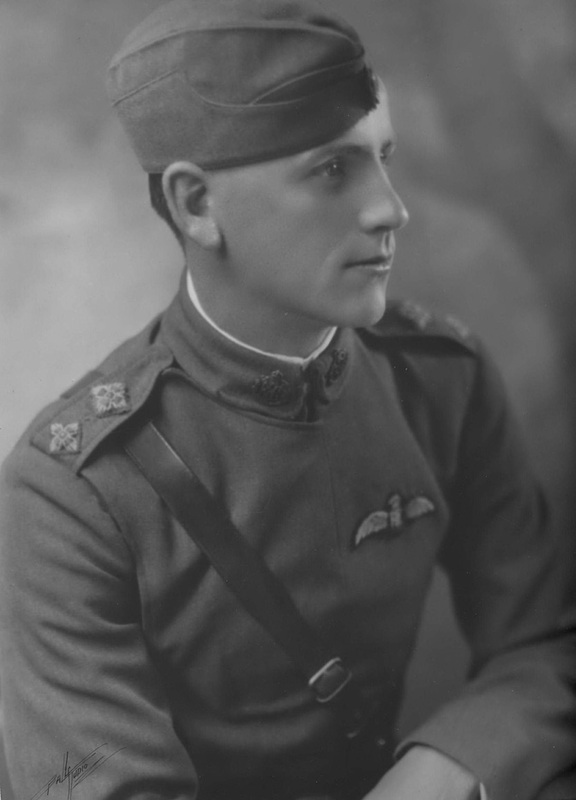 England was the first country to create a separate air force when it merged these two units in 1918, creating the Royal Air Force (RAF) Fred Merryfield, who was born in England in 1900 was one of about 22,000 pilots trained during the war. The casualty rate was high (about 38 percent) but Merryfield was lucky. When he was shot down over enemy territory, a German team found him and took him to a prisoner of war hospital. For his efforts, the second lieutenant was awarded the British War Medal and the World War I Victory Medal. He recovered and after being discharged in 1919, he came to the U. S., earned his bachelor of engineering degree from Oregon State University in 1923. From 1927 to 1966 Merryfield was a professor of engineering at OSU. In 1946, he and three former students founded the consulting firm C2HM. He died in 1977.